1408 Parkway, Sevierville, TN - Horne Properties, Inc. Adjacent to Walmart Super Center directly located on the Parkway in Sevierville TN, this free-standing building contains approximately 20,020 square feet. 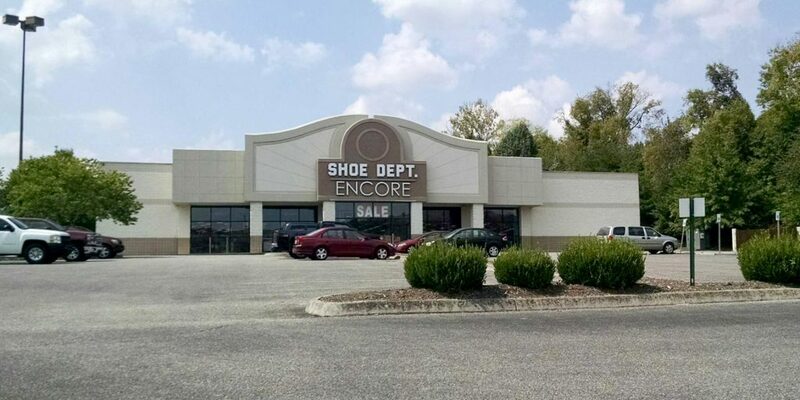 It is currently 100% leased by Shoe Dept. Encore through August 2019. Sevierville is nestled in the vast Smoky Mountains of Tennessee. Located 35 minutes from Knoxville, TN, it is accessible from Interstate 40 and Winfield Dunn Parkway. It is within one day’s driving distance from most of the East Coast, and hosts around 10,000,000 visitors per year. Besides being a popular tourist destination, the commerce also thrives from manufacturing and retail services. With being a prime location, available commercial property and the tourism industry, Sevierville provides a dependable economy that will continue to grow.